Now you can play any of your RM files easily with this wonderful player. RM Player supports playlist, screenshot, sub titles, frame step etc. With RM Player Plus you can play and convert RM (Real Media) video files, easily and fast! irectly burn your Real Audio Video (RM RA RMVB...), MP3, and WAVE files to audio CD without temporary. Bingo RM MP3 to Audio CD Maker converts Real Audio (RM RA RMVB...), MP3, WAVE files to CD Audio format for normal CD player access. 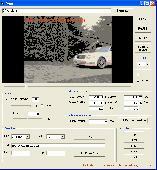 RM Converter software support input popular video formats (RM, RMVB, VOB, AVI, WMV, ASF, MPEG, MP4, DAT, FLV, MOV, 3GP). Slow motion feature, Cut, Merge, Batch convert, resize video, skinable player. convert almost all kinds of video files such as flv, rm, divx, xvid, avi, wmv, asf, mpg, mpeg, vob, mov, qt to portable media player files. RM-X Player is universal multimedia software. Rm-X Player is universal multimedia software. Play different kinds of audio and video files. You can Rip DVD, CD Audio and compress a video file in DivX, XviD or WMV with a one right click. You can listen the best radio (Techno, Trance and Dance) and downloading the music. The Rm-X Player software integrates the official codec DivX. This is a media player software for windows. It can play almost all media files, AVI, MP4, MOV, 3GP, FLV, SWF, ASF, WMV, VOB, DAT, MPG, MPEG, TS, RMVB, PSP, 3G2, MKV, M4V, M2T video files, and MP3,WMA,WAV,AC3,AMR,OGG,CDA,AAC,RM audio files etc. A professional conversion tool for Real Media files of rm, rmvb and ram. It supports conversion for video files like MPEG, AVI, DivX, WMV and for audio files including AAC, MP3, WAV and WMA. It offers the Wizard mode and the Advanced mode. The first player which completely supports dual-core CPU in the world. For Professional Windows Developers who need to provide video/audio playback function within their business application. Support RM, Mov, M4a, Mp4, 3gp, Divx, AVI, WMV, MPEG-1, ASF, WAV, MP3, MID file playback. Audio Pitch and tempo adjustment. X360 Multiple Video Player ActiveX Control helps application developers to control multiple video files playback simultaneously. It helps programmer to create up to 10 video files playback at the same time. Each layer plays a video.